Thin Tall Tony(TTT) has once again denied his family. time, Thin Tall Tony made it worst by saying that all his family are dead. replied 'I don't have a family, they are all Dead'. 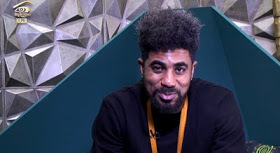 0 Response to "BBNaija: "I Do Not Have A Family, They Are All Dead" TTT Denies His Family Again"